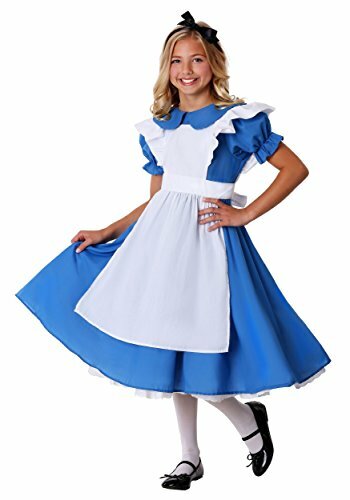 PRODUCT INCLUDES: This Girl’s Alice in Wonderland Costume comes with a blue dress, a white apron, and a hair ribbon. 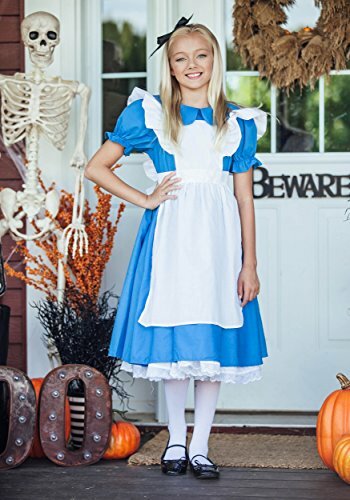 FROM THE FUN COMPANY: We’re one of the world’s top retailers of costumes and we just love the classics. 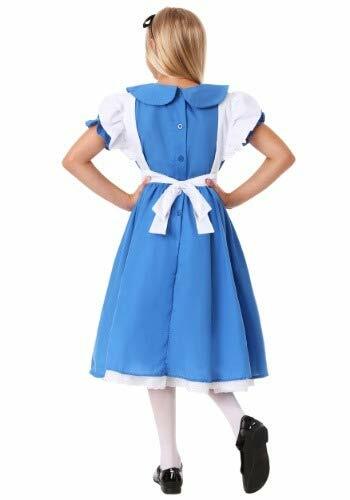 We’re proud to offer this Girl’s Alice Dress, a Made by Us design developed in our own costume design studios. 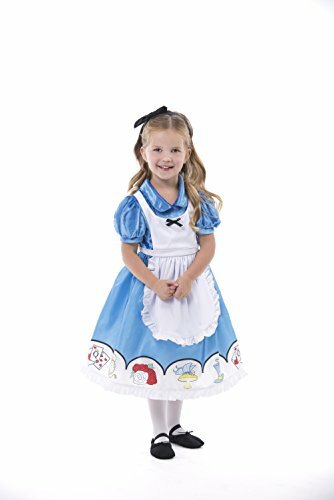 AUTHENTIC DETAILS: Alice has been depicted in a puffed sleeve dress and pinafore dating back to the illustrations in the original novel, and this Alice Costume is a great example of the iconic style. 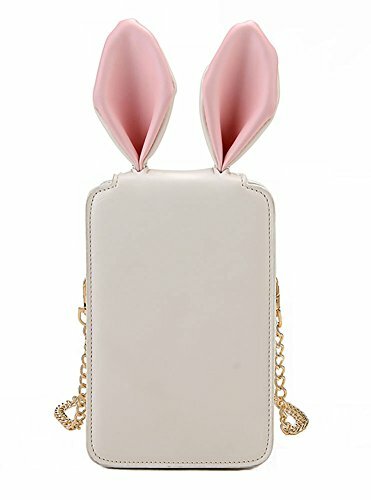 The puffy sleeves and accents featured on our dress is accurate styling that’s truly timeless. QUALITY THAT MATTERS: As one of the web’s top designers of costumes, we use quality construction and durable materials to ensure our customers get the most out of each and every costume. 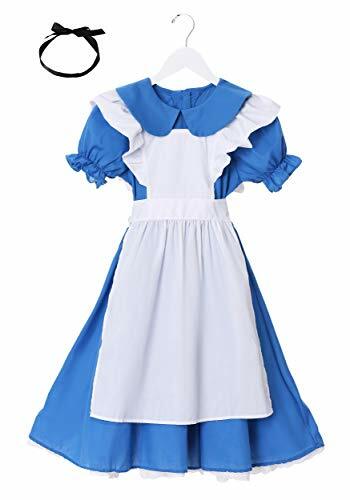 This Alice costume is sure to exceed your expectations!